Happy Friday, friends. I’m buzzing with ideas after brunch (and entirely too much coffee) with the fine bloggers behind Gimme Some Oven and Minimalist Baker. Hanging out with blog friends always makes this gig seem slightly less absurd. An example of such absurdity took place yesterday afternoon—I snapped these photos during rare moments of sunshine while cursing the dark clouds rolling overhead. It was a game of cat and mouse, and the winner earned a melting cocktail. I glanced through my cocktail selection the other day and realized that the older drinks aren’t exactly representative of the cocktails I order these days. I generally alternate between light, fizzy, clinky drinks (bourbon and soda with lots of lemon, for example) and stupid-expensive, swanky little numbers (believe it or not, this Midwestern city offers some killer cocktails). I’m a sucker for savory accents like peppers or olives and foreign liqueurs that I can’t pronounce. How else am I going to justify a 12-dollar drink, if it doesn’t contain ingredients that I don’t have at home? This grapefruit cocktail is precisely my kind of drink, and fortunately, it doesn’t cost an arm and a leg to make at home. It has some kick to it thanks to tequila and Serrano pepper, but bittersweet grapefruit juice and a dash of agave nectar round out the flavors nicely. I’ve learned through trial and error with my pineapple serrano cocktail that muddling a tiny round of pepper into the drink lends just as much flavor as more time-consuming methods of infusing liquor/simple syrup with peppers. If you’re sensitive to spice, you can use the tiniest sliver of pepper or omit it altogether. Palomas are typically made with grapefruit soda, but I opted to keep it light and refreshing with a combination of fresh juice and club soda. Actually, I happened to have grapefruit-flavored club soda in my fridge (the pamplemousse flavor by Lacroix), so I reached for that instead of plain club soda. It’ll be great with unflavored club soda, too, though. I think you’ll love it either way. Fresh, spicy paloma cocktail made with grapefruit juice and tequila. 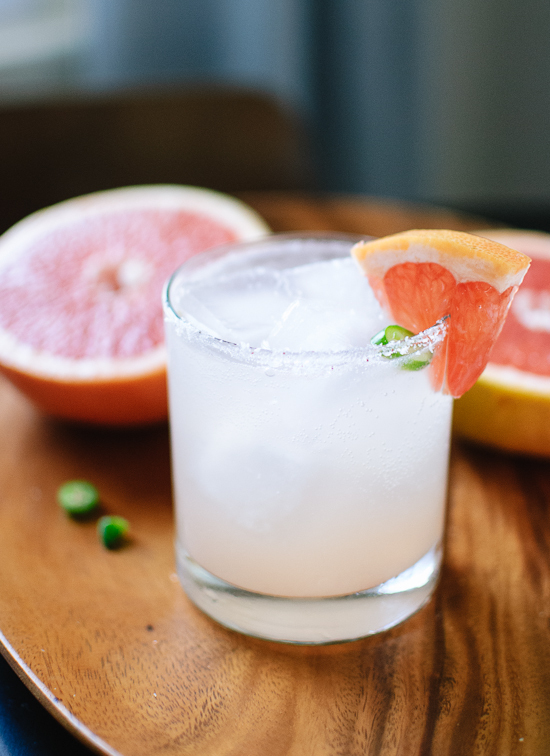 Most paloma cocktail recipes call for grapefruit soda, but I lightened this one up with club soda and agave nectar. First, prepare your cocktail glass: Pour the sea salt onto a small plate. Run a lime wedge around the rim of your glass and roll the edge of the glass onto the salt. Fill the prepared glass with ice. 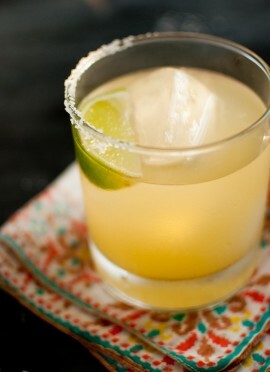 In a cocktail shaker or mason jar, muddle together the lime juice, agave nectar and one small slice of Serrano pepper. Fill the shaker with ice, then pour in the grapefruit juice and tequila. Put the lid on your shaker/jar and shake until the mixture is thoroughly chilled. Pour the blend into your prepared glass. Top off the cocktail with club soda. Garnish with a small wedge of grapefruit. Recipe influenced by A Cozy Kitchen, Bon Appetit, as well as my pineapple-serrano-cilantro cocktail and fresh margarita recipes. You can make a few cocktails at once in your cocktail shaker. Just multiply the per-drink amounts as necessary. No agave nectar at home? You can make simple syrup by combining equal parts water and sugar in a small jar with a lid. Put on the lid and shake until the sugar is dissolved in the water. Tequila recommendations: Espolón, Milagro or any other 100% agave tequila. 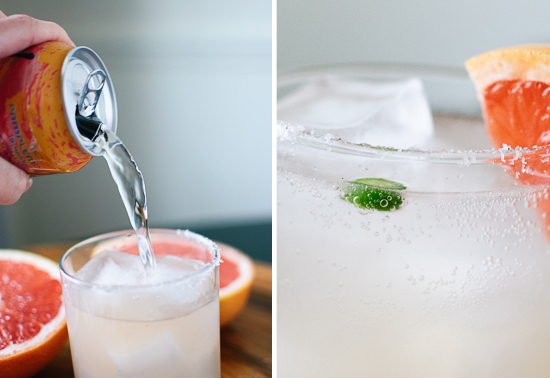 Lacroix makes a grapefruit-flavored club soda (the pamplemousse flavor) that goes great with fresh grapefruit juice. 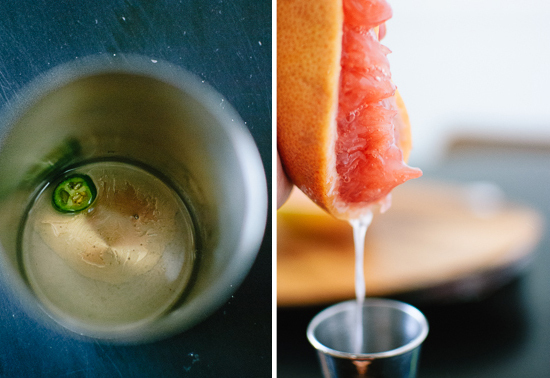 Fresh juice makes all the difference in cocktails, and grapefruit and hot pepper is one of my favorite pairings — I’m going to make one of these tonight! Thanks, Sue! Hope you love the drink! I want this cocktail in my body so freaking bad – it’s such a fabulous flavour! now this exactly my kind of drink. Fun times this morning! Gorgeous cocktail. Pinning! I adore Palomas! They are one of my FAVORITE drinks. Your photos are gorgeous and now I’m craving one. I love the idea of the added spice! YUM! Salud! So gorgeous, love the spicy kick! These photos are so gorgeous, Kate! And that’s awesome that you got to spend some time with a few other (super talented) bloggers. I always feel so inspired after a few hours with my blog friends. Now if only we could all meet in person one day! Thanks, Angela! I would love to meet you someday! Hopefully our paths will cross soon. I want one of these immediately! Good thing it’s Friday night at ten after five, right? 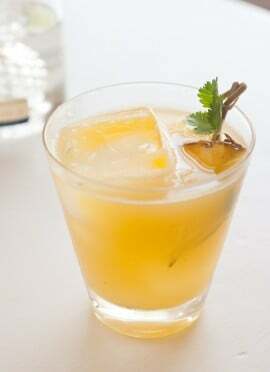 :) I love the idea of spicing up a classic citrusy cocktail. grapefruit is going like gang busters here in AZ, we have a pink grapefruit tree and it’s almost the end of the season. this drink looks great, and anything with fresh juice is pretty darn good! I bet that grapefruit tree is gorgeous! I’ve never heard of a cocktail with hot pepper in it before. Interesting! Love the contrast of the green against the cloudy drink. Yummy! 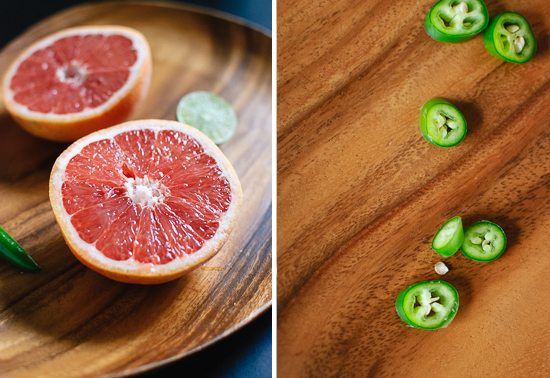 A mixologist once told us that Don Julio is the best tequila for mixed drinks like this. Any thoughts? Good question! I’ve never had Don Julio, but if a mixologist says it’s great, I’d take his word for it. It sounds like Don Julio is an aged tequila, so it will add oaky notes to the cocktail, which would probably be pretty tasty. Oh, yes! Would definitely order one of these OR, better still, make at home. All I have is anejo patron (a yellow tequila) could you use this instead? Hey Katie, you probably could! Añejo tequila is tequila that has been aged in oak casks, so it’s going to taste a little different than the more neutral blanco tequila. If you have enjoyed the añejo in other cocktails, though, I bet you would like it in this drink. Oh man, we have a lot of La Croix in the fridge at the moment — clearly it needs to be used up. By mixing it with tequila and serrano. Ahem. Also, your brunch sounds wonderful! I am constantly inspired by Minimalist Baker — Gimme Some Oven is new to me, but after a quick skim of that site, I know it’s going to become a new favorite. This cocktail looks so light and refreshing, Kate! I don’t have tequila on hand right now, but I am sure that gin would be perfect with these ingredients. Gin + juice always works! ;-) Cheers! Yep, gin would be lovely! Don’t even play! This drink looks so good. Could definitely use one after this week! I had some grapefruit and Dillon’s white rye begging to be in this cocktail. And, oh man is it good! Marie, so glad you loved the cocktail! I want to try one with white rye now. It’s been a hell of a week. Thanks for the cocktail inspiration. Cheers! Paloma might be my favorite cocktail, and this one looks delicious. Can’t wait to try, thank you! After a few of such aforementioned expensive cocktails, I’ve realized that I’m OBSESSED with hot peppers in my cocktails. So good. 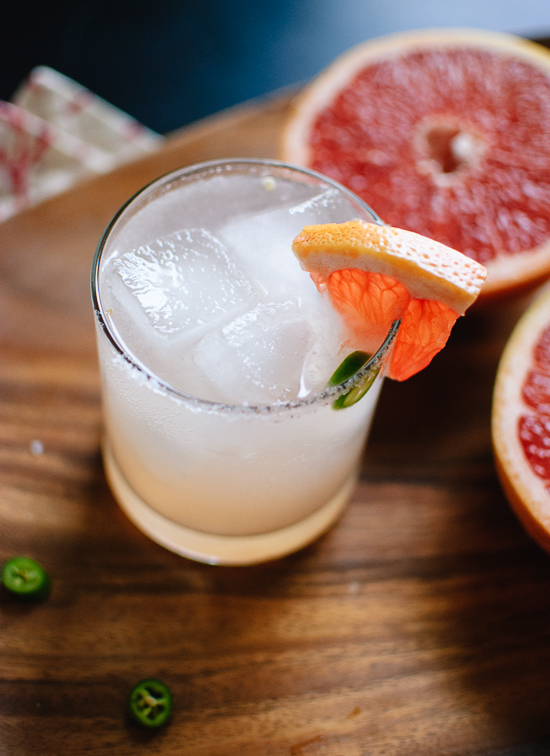 I am so excited to make this paloma at home while the grapefruits are still good. Peppery cocktails are the best! mmm this sounds fantastic! I love the heat! I’ve already got my husband, (our resident bartender!) planning on it for this afternoon! It sounds so perfect! Hope you both loved the cocktail! Thank you, Laura! The cocktail you mentioned sounds so interesting. I want one! 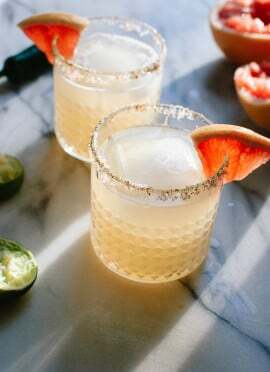 Palomas are one of my faves! Love the grapefruit seltzer you added, great idea. I’ve totally been chasing the sun through quick-moving clouds as well, which makes light readings so tricky to get right ;) Your photos are gorgeous despite the challenge! I just published a Paloma cocktail too; discovering how much better they are with both real grapefruit juice AND grapefruit flavored soda. They never appealed to me that much without the juice…that was key. The addition of jalapeno? I’ll have to try that; I’ve done the same with a margarita and since this is my idea of margarita’s cousin, I know it will rock! Wow. I can’t imagine what this would taste like, but I can imagine it would be AWESOME! This is the perfect Friday drink. You love your grapefruit coctails, don’t you. So do I. However, I recently started mixing peach juice with rum & a bit of club soda. Ever used peach juice? Trader Joes juice is called Dixie Peach. Up for the challenge? I made these last night for my girlfriend and she loved them. I omitted the club soda all together and it worked just fine using just the fresh grapefruit, simple syrup, pepper,and fresh lime juice. Awesome drink!! Sounds very interesting and refreshing!